Looking to improve? Quit smoking, or another Addiction? Or simply achieve your New Year’s Resolution goals? 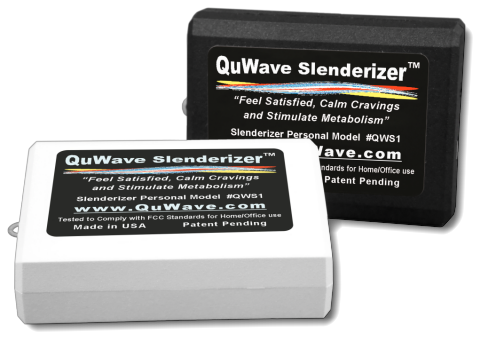 QuWave is offering 50% off on this amazing bundle deal: get the Slenderizer, the Quitter, and the Law of Attraction Money Magnet for $445. Normally $900, this amazing deal won’t last long: this offer ends January 31. Grab your New Year’s Resolution bundle today and save. The three units offered in this deal are all Personal Solfeggio Models. 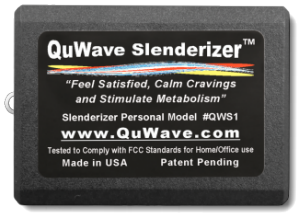 The Slenderizer is designed to aid with your figure and stimulate metabolism. 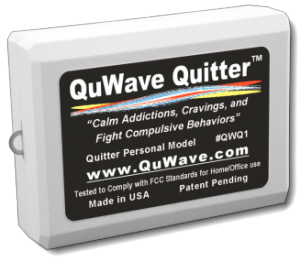 The Quitter is designed to calm the addiction and craving centers of the brain. The Law of Attraction Money Magnet works alongside the Law of Attraction (also sometimes known as “The Secret”) to help you achieve your life’s desires. Control addictive cravings and aid in behavior modification. Use the Law of Attraction to attract your desires to your life. Read more about how the "Law of Attraction" works in this free eBook. 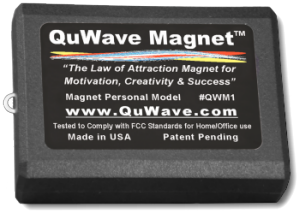 "I never believed in quote “You are the creator of your own reality” until I got a QuWave Law of Attraction Magnet." "I would feel my life incomplete now without the QuWave Magnet. We are all here to create and recreate. This Law of Attraction Magnet facilitates that process." This Incredible deal ends soon !!! 50% off these three amazing products !!! Before the price goes up!!! Bundled "Law of Attraction Magnet", "Slenderizer", and "Quitter" Personal Models. Improve your Body, Mind, and Spirit. Achieve your desires. All of these products work in a similar way, by generating Scalar Waves combined with Solfeggio Frequencies tuned to stimulate specific Chakra Energy centers of your body. We have discovered the Solfeggio Frequencies which energize your Chakras and the Brain to help you succeed in life. "Makes all aspects of the Law of Attraction work better and faster". It helps you achieve Success, Happiness, Wealth, and Health. Helps you to visualize and attract into your life whatever you are seeking. Stimulate the brain's Motivation, Creativity, and Awareness centers. Makes you more receptive to external stimulus and focuses attention on what’s in front of you. Makes the 'like-attracts-like' principle work more efficiently. "Helps fight Addictive Behavior” Scalar Solfeggio Frequency tuned to Calm Addiction and Craving Centers of the Brain. This can help you concentrate on fighting negative urges and to change your behavior to be more in control. “Helps fight food cravings” Scalar Solfeggio Frequency tuned to Calm Craving and Stimulate the Metabolism Centers of the Brain. This can help you focus on improving and changing your eating and workout habits and be more in control.